Do you know any delicious bean sprouts dishes? 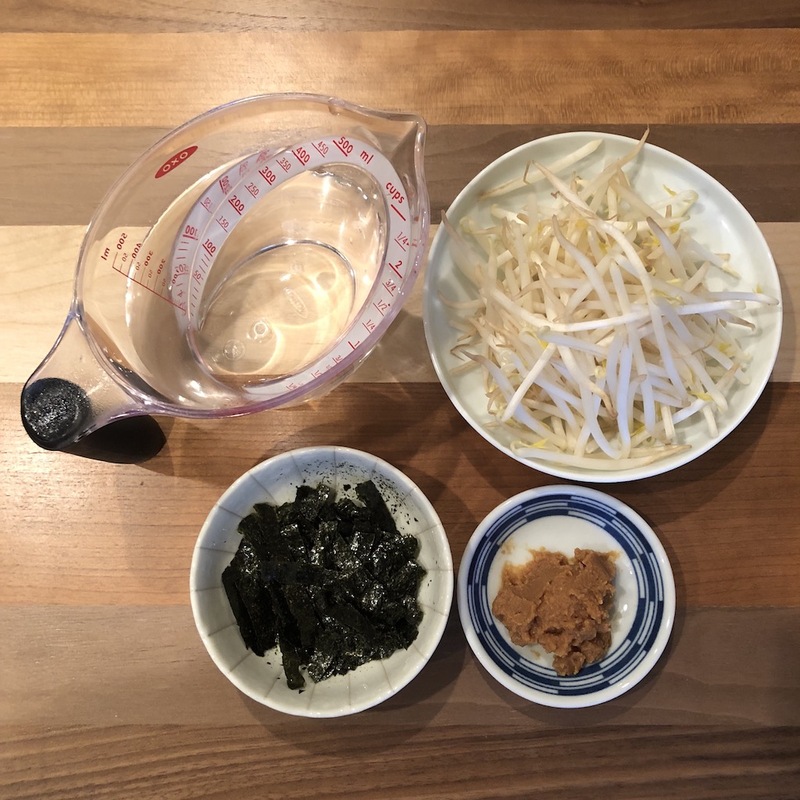 Some people may like raw bean sprouts as ingredient of salad or something like that. In Japan, it’s heated most of the time and used for soup, stir-fry dish, salad and so on. 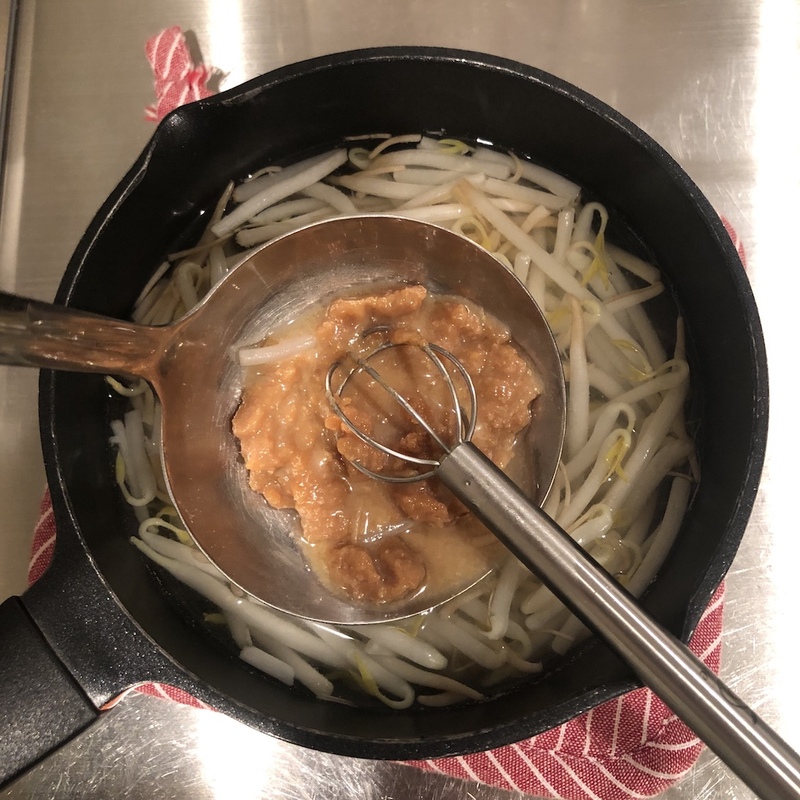 I like mixing boiled bean sprouts with kimchi sauce and sesame oil. I think most of Japanese say bean sprouts is cheapest vegetable at grocery store. The price is only around 0.3 dollar for about 7 to 8 oz… Very economical! 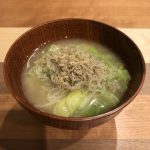 Because of this cheap price, some of famous ramen restaurants in Japan like to use bunch of boiled bean sprouts as topping for ramen. The crunchy bean sprouts are actually great topping and they matches so well with rich taste of ramen soup. Anyway it’s very popular vegetable for us in terms of the low calorie and crunchy texture! It’s also very useful for cooking since you need only 2 to 3 minutes to heat. So today’s direction will be so short. 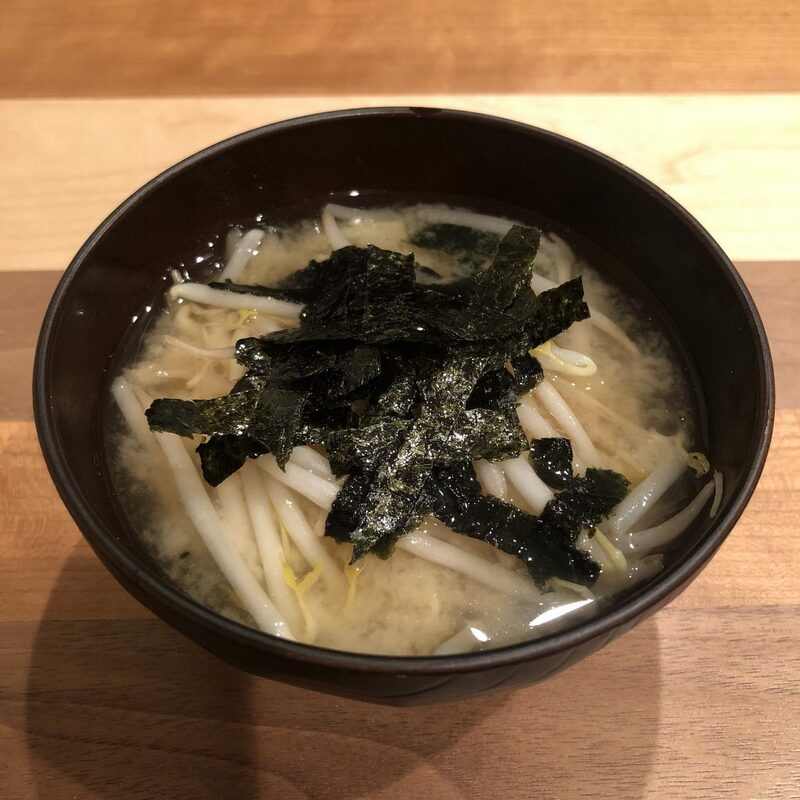 Another key item for today’s miso soup is seaweed. You can use any kind of seaweed. I choose seasoned seaweed this time because it tastes nice with salty-sweet seasonings. 1. 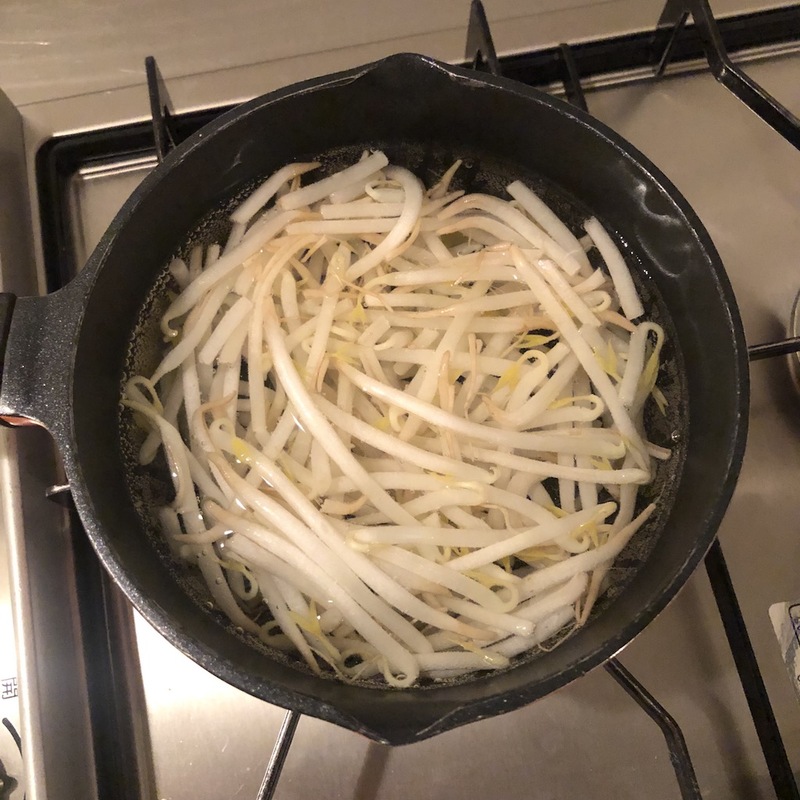 Heat bean sprouts and dashi granules with boiled water in a saucepan for 2-3 min. Then remove from heat. 2. Add miso paste and stir until miso is completely melted. Put seaweed on top. It’s very simple but deep taste! 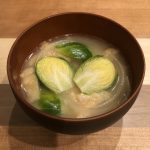 Seaweed flavor makes the soup even better. Please feel this great combination of tasty seaweed and crunchy bean sprouts.